With powerful admin tools, hands-on training and no limit to the amount of data or the number of screens, Skykit works just as well for global corporations as small startups. 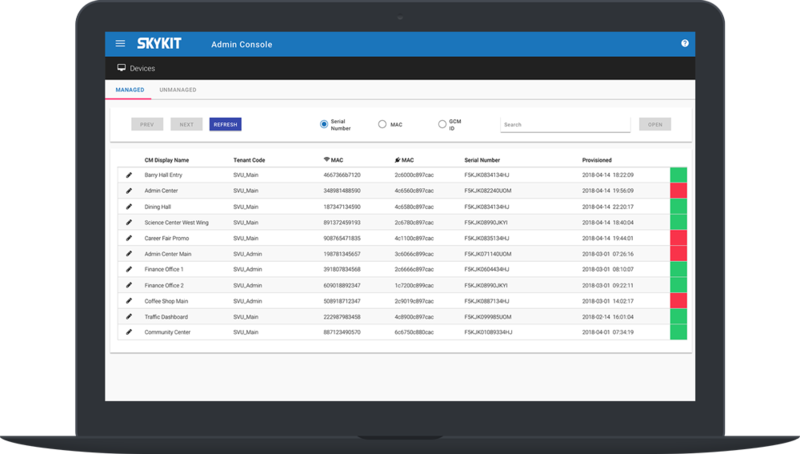 Manage and track all of your locations, displays and users through a single Admin Console for an enterprise-level view of your digital signage. Automatically alert your admins in Skykit or via email when a display isn’t showing content or loses internet connection. Powerful user permission tools let you give access to the right people for the job. Manage content, delegate, communicate and work together to create your digital signage all within Skykit. Manage displays at scale using RS-232 Panel Control. Turn displays on or off, adjust the volume, or change input through Skykit Admin. Report across your digital signage network for a high-level view of what content was played across displays and how many times the content played. 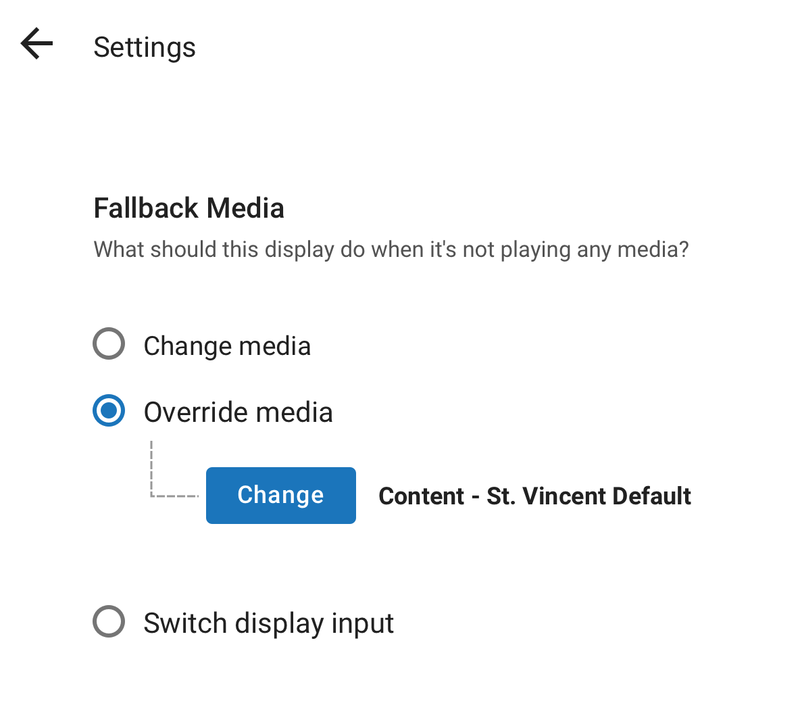 Specify what you want your display to do when content is not playing: put your display to sleep, play default content or switch to live TV automatically. The Skykit Player and Google Chrome OS automatically update without you lifting a finger. That means you’ve always got the most secure version of the software, and there’s nothing to install, update or patch ever. Ready to push your content further? We’ll get you set up with a plan that fits your business.